Plentiful are the notions of wonder. Numerous are the words I hear and I speculate how they relate to me as an individual, how they tie into the culture I live in, and into the eternity I await to join. I am often an enigma. others. How they are seen, planned for, directed, worthy. I wonder how I could possibly measure or matter. And what I have learned, is that conditional truth is no truth at all. I’m disqualifying the message of His Love. 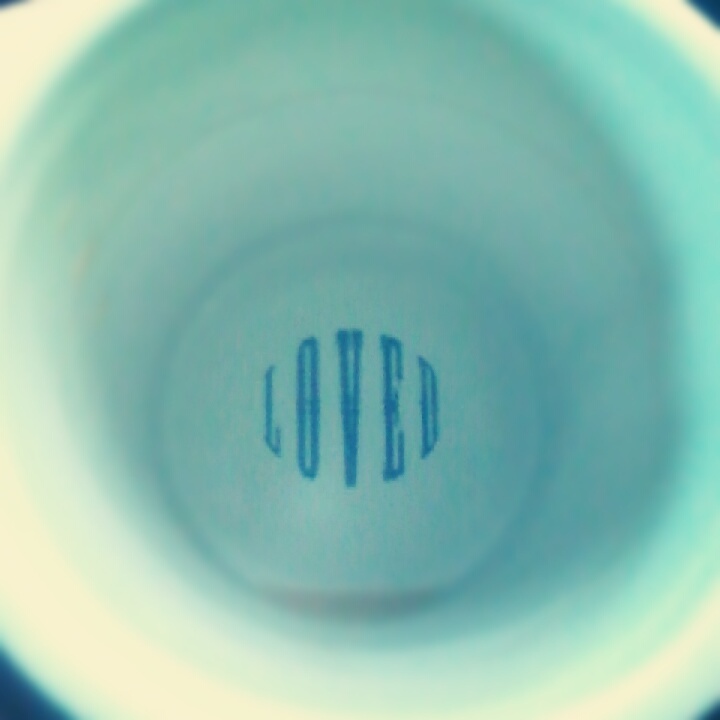 This mug I have is pivotal in reminding me of my actual worth. It sounds silly: a mug reminding me. Yet the verse is vital. The sentences, speaking to who I am (echoing Whose I am), confirm me. And the last word – inside – wash me new. It IS the last word. In everything we endure, question, stumble through, crumble under, rejoice over — the last word resounds. May that be the wonder that fills my mind. Not if it’s true, but because it’s true. May I be filled with awe and worship because of its certainty. Karrilee – I am overjoyed you came by. Thank you so for taking the time and for your sweet words of “I get it!”. I appreciate that immensely! 🙂 I'm heading over to your post right now. Can't wait. I love the perspective and insight we can give one another in the Body. Loved this post Leigh! I too used to read about God's promises and agree with every single one of them, but somehow could never claim them for myself. It wasn't until I became very sick and underwent brain surgery that God's presence became something I personally experienced. That encounter with God is what began my ministry. He is just so amazing! Leigh, my friend…I'm just aching to give you a good and proper squeeze! (I still can't figure out how I can miss someone I've never yet met… but I see your here so poignantly and want to just grab hold and agree — YES! We're HIS! we're spoken for. Let's never get over it. I…just…thank you. I don't have words other than that. Gratitude, from me to you. One day we will hug – God has to make that happen. 🙂 Oh thank you friend. Oh you are so so right – He is amazing. Wow, how taxing and stretching an ultimately lovely that season must have been. I hope that's ok to say – that it was ultimately lovely. I don't say that lightly or nonchalantly. I've not walked through that season myself. I had a roommate undergo multiple brain surgeries for different reasons, but it's nowhere near the same. I say it, however, because if God drew you nearer….if you finally GOT IT that you were His and there was no qualms or argument about it – you belong to Him and He is you utter, complete strength…then oh…what beauty in knowing and feeling finally that reality. In the darker valleys we are able to gain scope into how majestic it can be to see the height and light and perspective of His glory. You have blessed me so so much for coming by and giving insight into this struggle. THANK YOU is all I can say. And even then…as Abraham told the rich man who begged that the poor beggar Lazarus go back from Paradise to warn his 5 brothers of hell…if Moses and the prophets cannot convince of Christ's unconditional love, neither can any of us, even if we should return from heaven to proclaim His undying devotion. 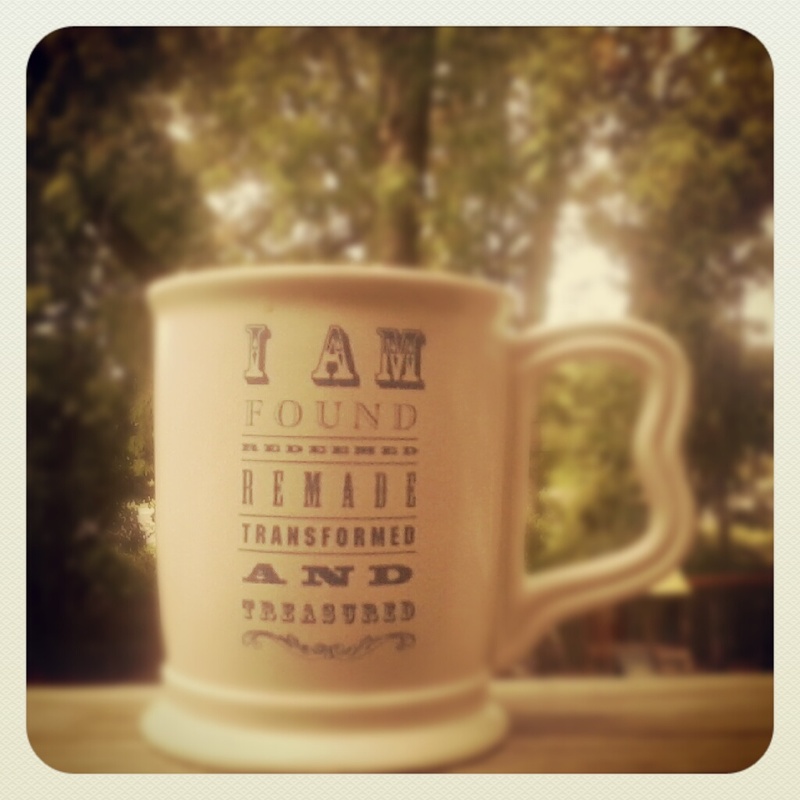 Loved your transcendent post…found through Lisa-Jo's link-up. Genevieve…oh I just wondered over to your site before replying here. I'll save words for that space though I want to drip the thoughts in my head and emotions in my heart. I will refrain and let it finds its home in your place for safe-keeping and support-giving. For this place, I say thank you. Thank you for coming by. I appreciate so, your eyes scanning my humble words, your hands typing wisdom and encouragement, but mostly, for your presence here at all. For it led me to your site. And that, is what I'm thankful for most.